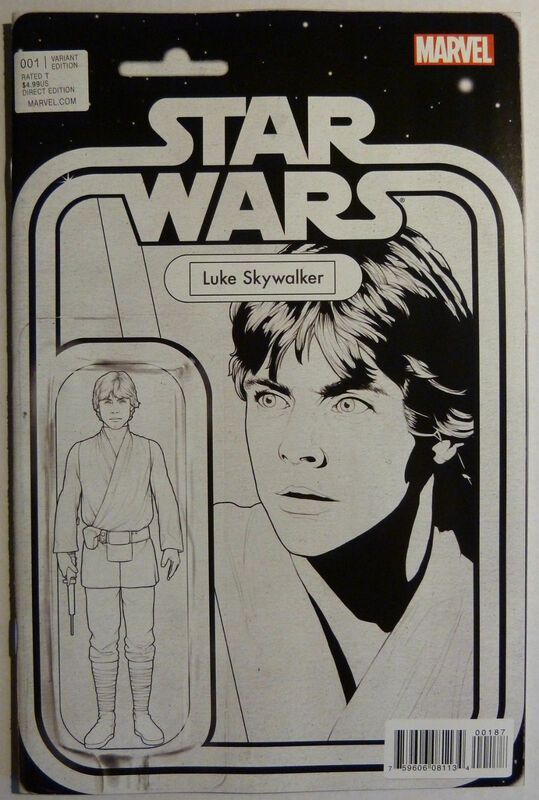 This past weekend in Chicago, Marvel gave select dealers a Luke Skywalker RRP Action Figure Sketch Exclusive. A few copies have leaked on eBay and have sold from $50 dollars up to $150. There is a few copies now at $200. I was told the print run was a couple hundred from a good source. With the Boba Fett variant reaching $100 at a 5k print run, if this is only a couple hundred it could be a $500 book soon. Hopefully you secured a copy for yourselves already, if not……..good luck. Is that a coloring book? Looks like a prototype. Really cool! Been watching this one over the weekend and its edging up in price with every sale. There isn’t a ton of copies left either so it’s certainly a hot item right now!